Are Robot Caregivers a Good Idea? 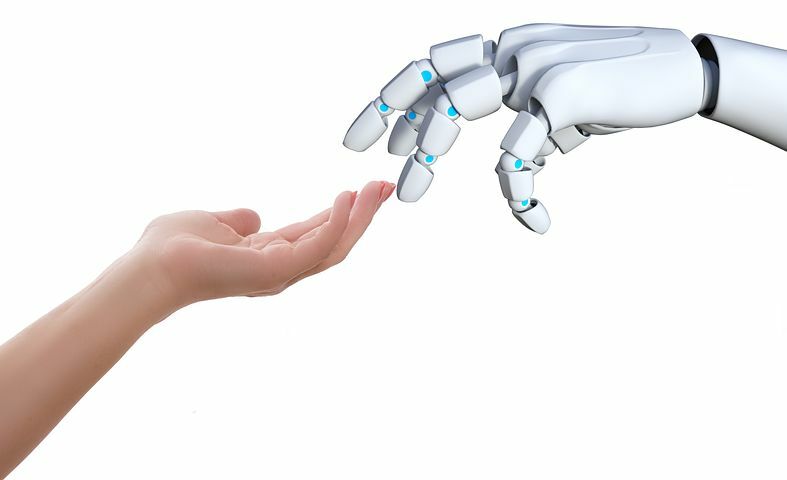 Should robot caregivers take our place in caring for our patients and loved ones? Although this may sound like a crazy idea, it is actually currently being worked on. There are teams experimenting with this concept as we speak such as the Electronic Caregiver. Whether you agree with it or not, this is coming in our future. The question is not if, but when. Lets explore the benefits and the downfalls of such an idea. Fair warning, this page will have more questions than answers. It is meant to spark conversations regarding some of the complex issues that arise when discussing a topic such as this one. I encourage anyone and everyone to share their thoughts on this matter. There isn't really right or wrong answers to these questions. People are going to have different opinions and that's okay. These are not easy questions. For many of them, there aren't any specific right or wrong answers. There are certainly some questionable gray areas. There are always going to be people on both sides of the fence who strongly agree or disagree with certain aspects of the idea. Then there are people like me who don't really know where they stand on the subject. I see both sides of the argument. It is a very complicated subject that can be observed and interpreted in multiple different ways. Both sides have really compelling positives as well as some glaring negatives. 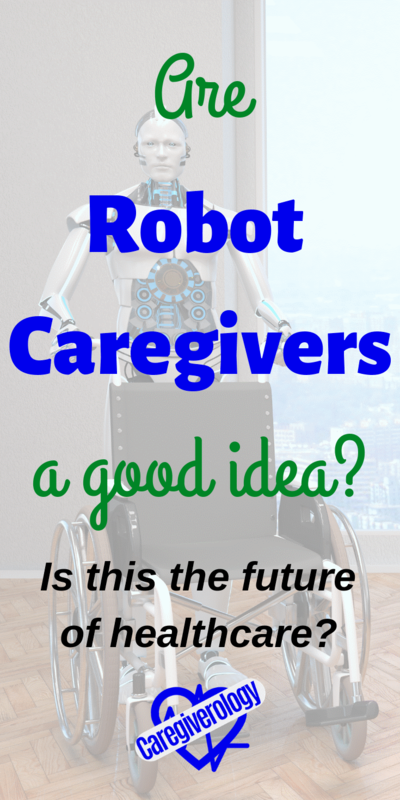 How would robot caregivers help us with caregiving? Note that these are potential future implications. This would be the ideal scenario. The robot could help the elderly and injured with activities of daily living (ADLs) such as toileting, feeding, bathing, ambulation, etc. How would they do this? Like any other human. They would have mechanical limbs that could move like our own arms and legs. They could also help with companionship. They could provide company for the lonely when nobody else is available. It could be compared to a pet but much more relatable and interactive. It would be able to communicate with actual language more akin to another human being. There is also the idea of programming the robot to imitate the perfect companion for that specific patient. This may be in the form of personality traits that the patient enjoys, or it may even go as far as to imitate a distant or deceased loved one for added comfort and familiarity. They would be able to provide care around the clock as long as they are recharged periodically or have their battery replaced as needed. They may even be able to recharge themselves. Unlike human caregivers, there would be no more required sleep, switching shifts, or breaks needed. They would not be required to have compensation. The only expenses would be the initial charge and/or rental fee of the machine itself, the energy cost of recharging the battery or the cost of replacing the battery completely, the maintenance fees to keep the unit working properly, and the potential hardware and software updates as time goes by. Can we even create a functional robot caregiver? 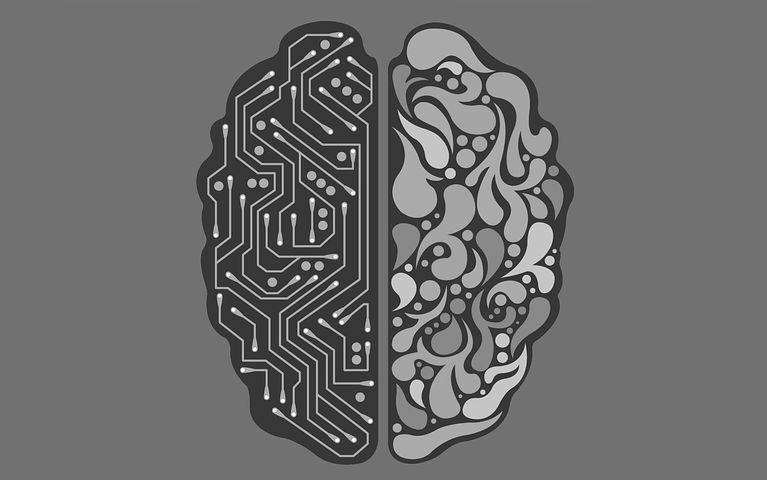 At it's current state, artificial intelligence (AI) does not have the capability to reason as well as humans can. Their logic isn't even close to ours. They can't make complicated decisions on their own. We make multiple complex decisions every single day without much thought. Computers can only do what we program them to do. What we perceive as natural solutions to life's everyday problems require too many calculations for a computer to perform. There are too many variables for the program to consider. We still don't completely understand how our own brains function, so how can we create a program that imitates it? Caregiving is a complex set of tasks that vary from patient to patient. There are times where we have to make quick decisions. There are often times where the right decision isn't clear and differ depending on who the caregiver is. If we have a hard time deciding what the right thing to do amongst ourselves, how can we expect AI to make these decisions? Like everyone else, the elderly and disabled need human interaction and companionship. This is something current AI cannot provide. At this point in time, it can't even properly simulate it. But if one day it can, will that be enough? Will we possibly even be able to fool them into thinking they are interacting with a real human? Would that be unethical on our part? Let's try to look at this from the patient's perspective. What would their feelings be about this? Would they accept or object the idea of a robot caregiver taking care of their daily needs? Would they find it insulting and demeaning? 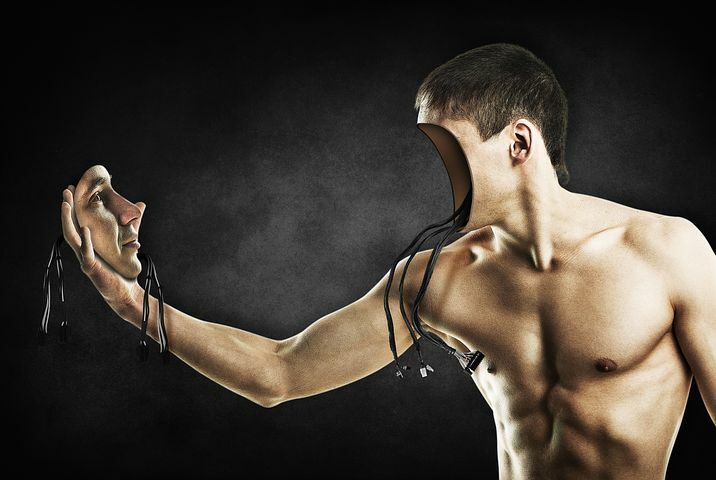 Would it be upsetting knowing that we would rather have machines take care of our loved ones instead of us ourselves? Would they be right for thinking this way? Should we be ashamed for even suggesting pinning care on someone or, in this case, something else? Would this be telling our loved ones that we don't have the time or patience to cater to their needs? That our time is better spent elsewhere on other things that are seemingly more important to us than their general well-being? Many elderly people aren't too accepting of modern technology in general including modern robots. Many of them blame machines for taking away jobs and contributing to the overall downfall of society. They see the rise in technology as a disease that has infected and manipulated others around them. Are they necessarily wrong for thinking these things? Would They be in Danger? Would a robot caregiver have the capacity to harm another human being? A lot of the work on robotics focuses on this very question. There are many stories, books, and films on the idea of robots harming us. Is this just science fiction or should we be worried? The question isn't answered by simply stating that we will not give machines that capability. It's more complicated than that. There is the concept of them malfunctioning in various ways or being hacked to perform acts they weren't made for. Would they be gentle enough for some of the more fragile patients? Would they know what to do in a crisis situation? What if they had to choose between one life or another? Who would be responsible if something tragic were to happen? Many people may argue that the "Three laws of robotics" by Isaac Asimov is the simple solution to these problems. Is it really that easy? In my opinion, the short answer would be no. There are many issues that would prevent implementing these rules into the real world. There is a lot to talk about here but I will save further discussion for a future page. I plan to make more pages concerning robot caregivers and similar subjects if there is an interest for it. It is something that fascinates me and I have many more thoughts about it. If you have anything to share, please don't hesitate to do so. I would love to hear varying opinions regarding any of the questions asked on this page. What are some questions you have that I didn't mention? Let me know in the comments. Do You Disagree with Something on this Website?